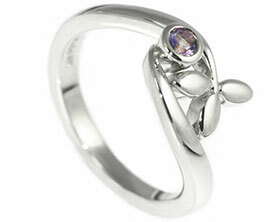 Inspired by the affectionate name Duncan calls Stacey, this engagement ring design mirrors the twining tendrils and beautiful blooms of sweet peas. 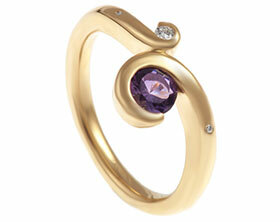 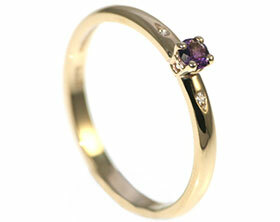 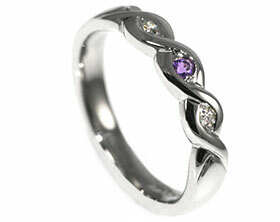 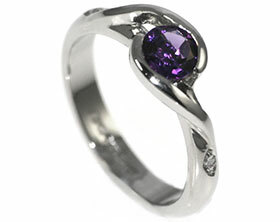 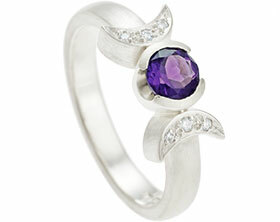 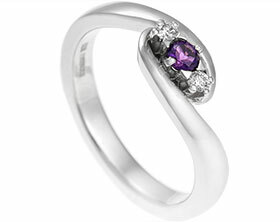 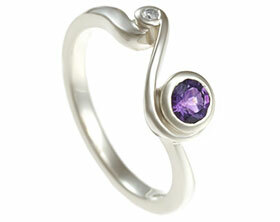 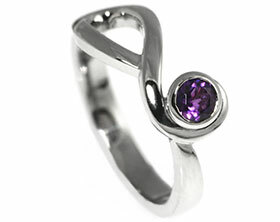 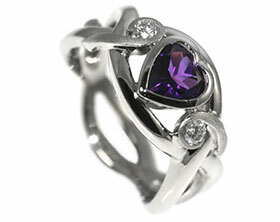 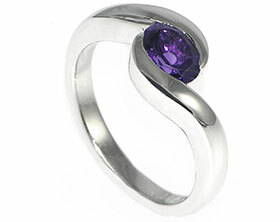 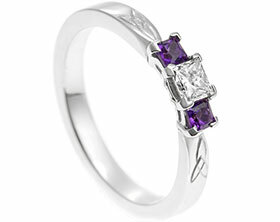 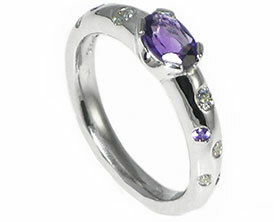 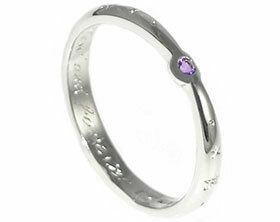 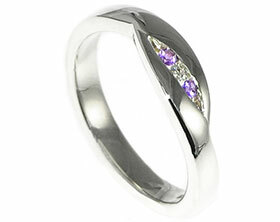 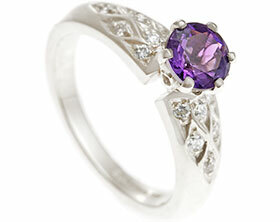 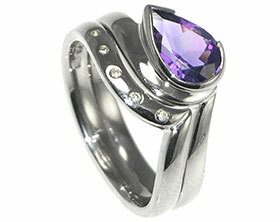 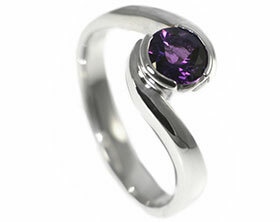 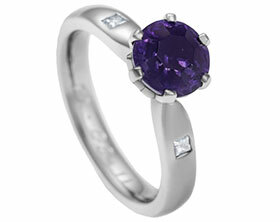 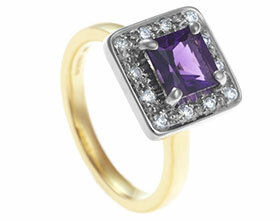 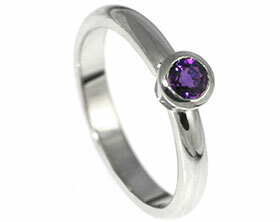 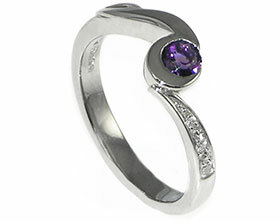 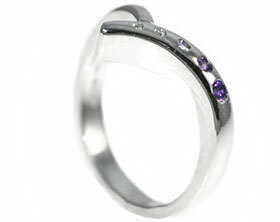 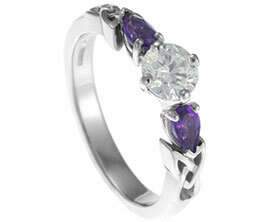 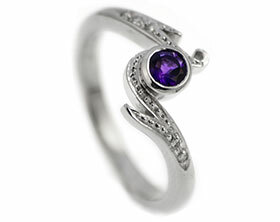 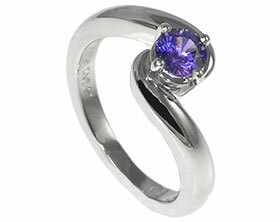 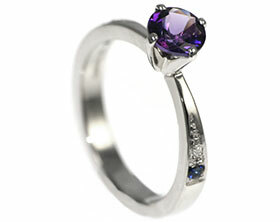 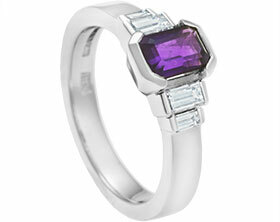 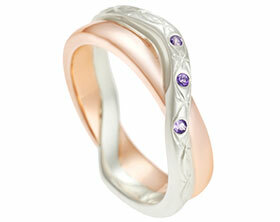 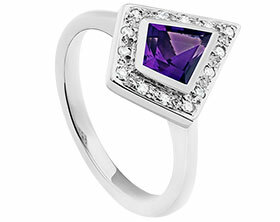 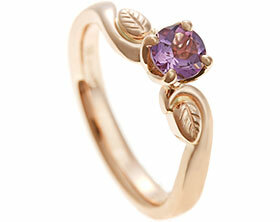 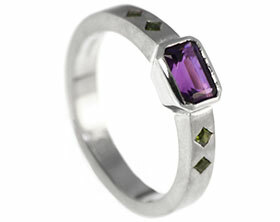 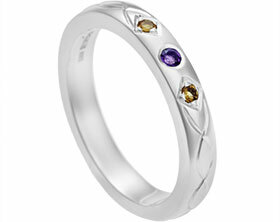 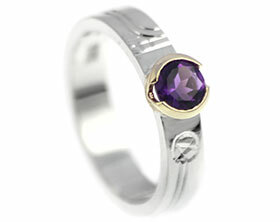 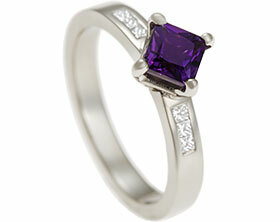 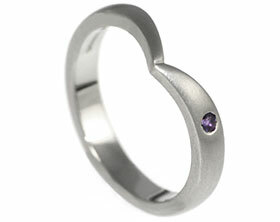 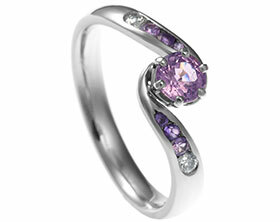 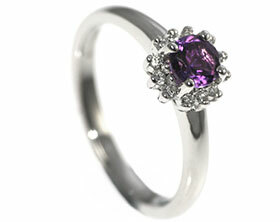 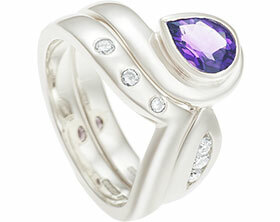 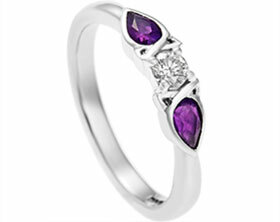 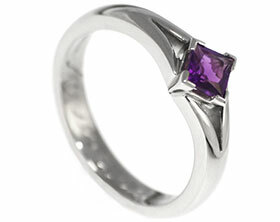 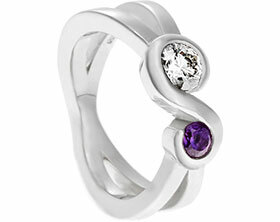 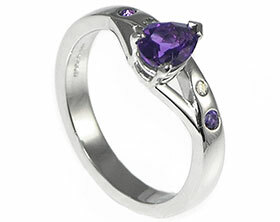 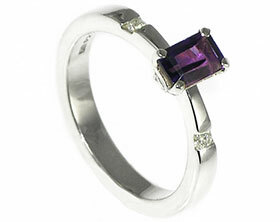 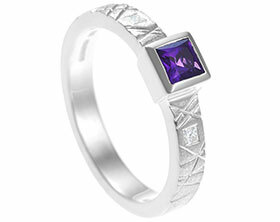 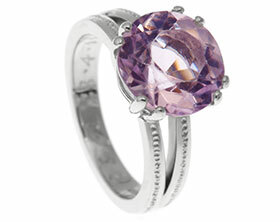 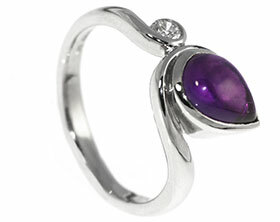 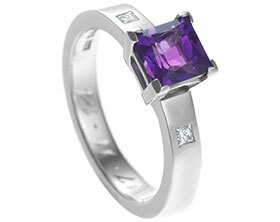 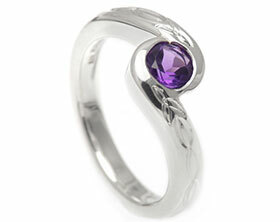 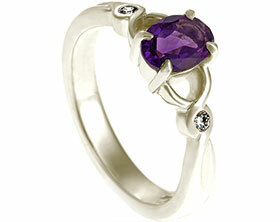 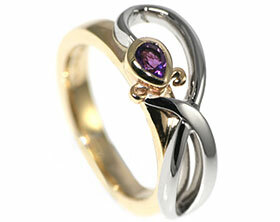 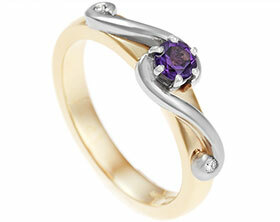 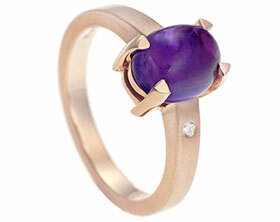 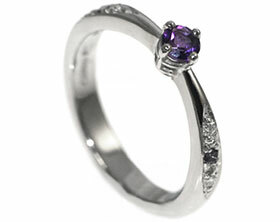 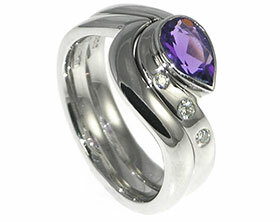 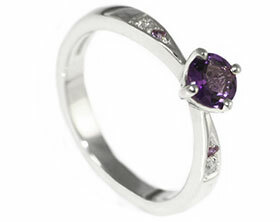 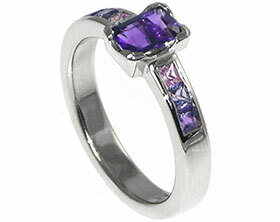 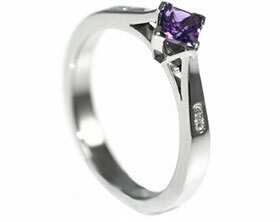 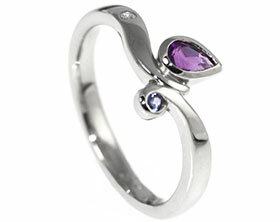 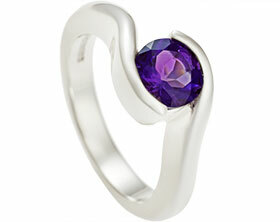 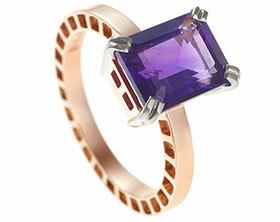 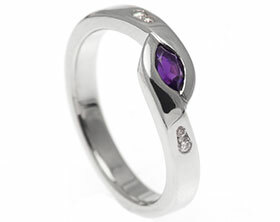 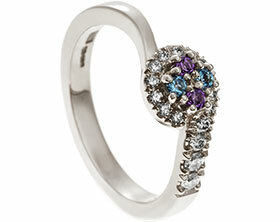 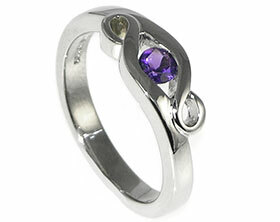 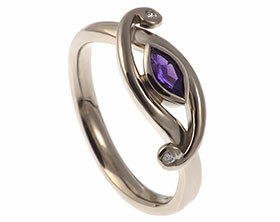 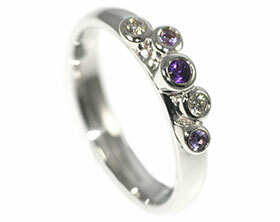 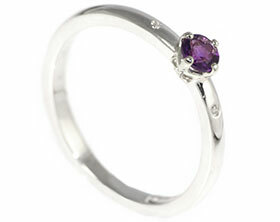 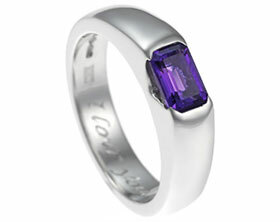 At the centre of the design is a 4mm brilliant cut light purple amethyst in an all around setting. 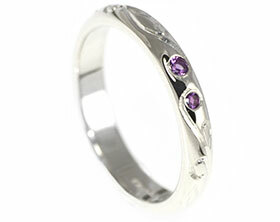 The vine design in warm 9 carat white gold captures the delicacy of the flowering plant and appears to wrap around the central stone. 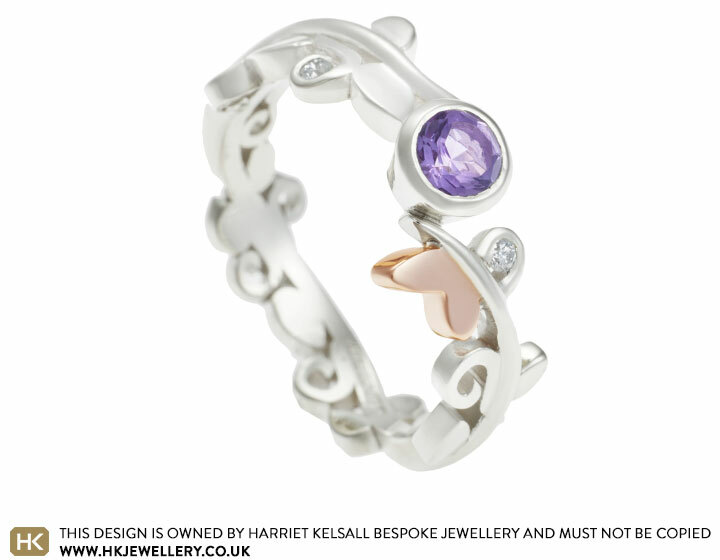 A 9 carat rose gold butterfly elegantly settles on the band of the ring and enhances two 1.5mm diamonds set within curling leaf detail on either side of the amethyst.